History: The details of the discovery of this species are unclear. 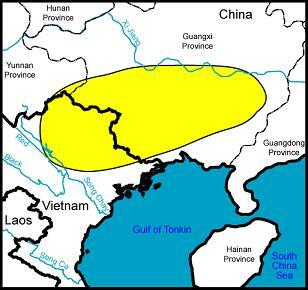 Among the first plants to appear in cultivation were a batch exported from China through Honk Kong to Japan and the USA. Also, plants were brought to Europe by Henry Azadehdel. So far, I haven't found any detailed information on the timing of all the events surrounding this species' introduction. 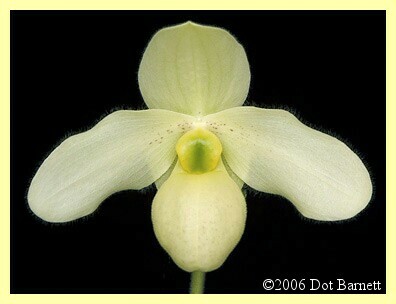 Etymology: Named for Emerson 'Doc' Charles, an orchid collector and grower from California who flowered the type specimen in May, 1986. Averyanov, L.V., N.T. Hiep, and P.K. Loc. 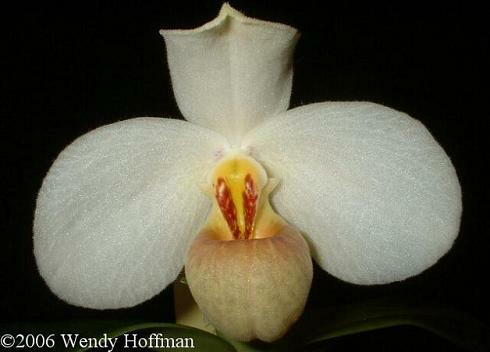 "Two Relatives of Different Ecology: A Field Study of Paphiopedilum emersonii and Paphiopedilum hangianum." 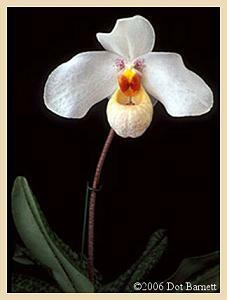 Orchids 74, no. 3 (Mar 2005): 208-15. Cribb, P.J., L. Yi-Bo, and G. Siu. 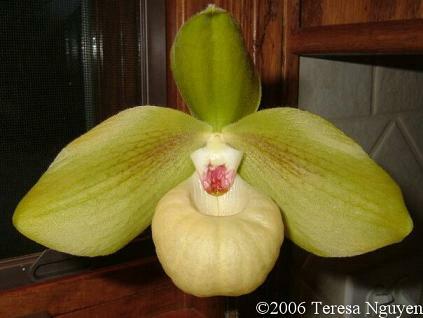 "Observations on Paphiopedilum emersonii in South-East Guizhou." 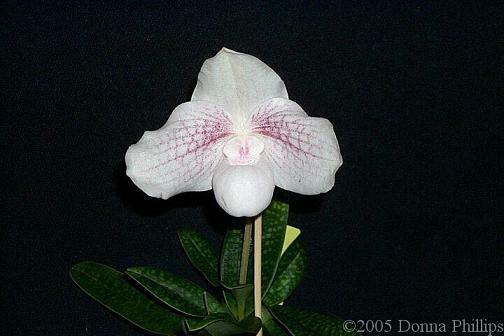 Orchid Conservation News 4 (May 2004): 12-15.